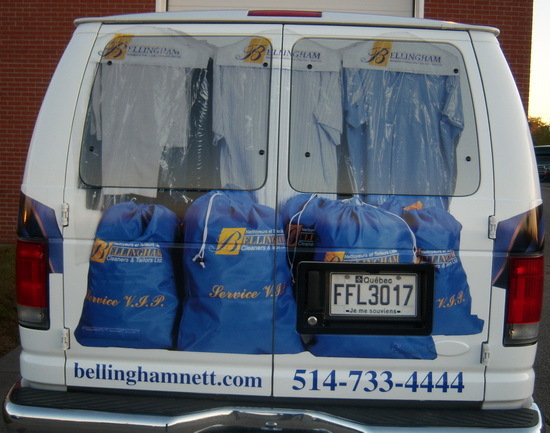 Since 1940, Bellingham has been well-known for their expert cleaning, especially of the more challenging suedes, leathers, wedding gowns, silk, feather pillows and duvets. 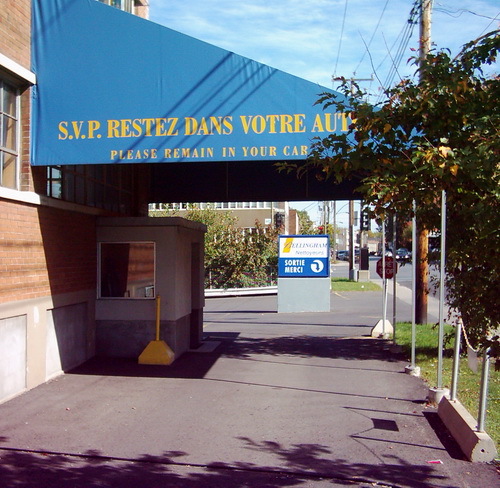 - For busy people, they offer a wash and fold service for $1.50 lb ($3.30 kg). Whites and coloured items are washed separately - and - independently of other peoples' clothes. There's free pick up and delivery. The minimum order is for 10 lbs. - Would you sleep on the same sheets for 6 months? So why haven't you ever had your pillow cleaned? 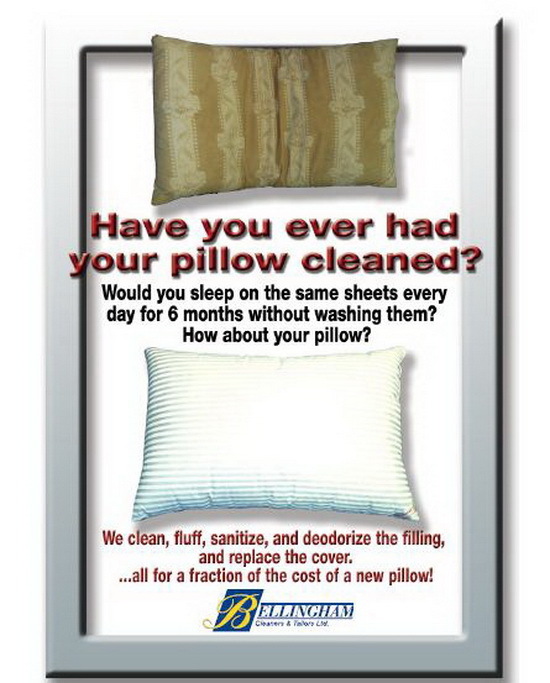 They will sanitize, deodorize, clean, and fluff you pillow - and - replace the cover. 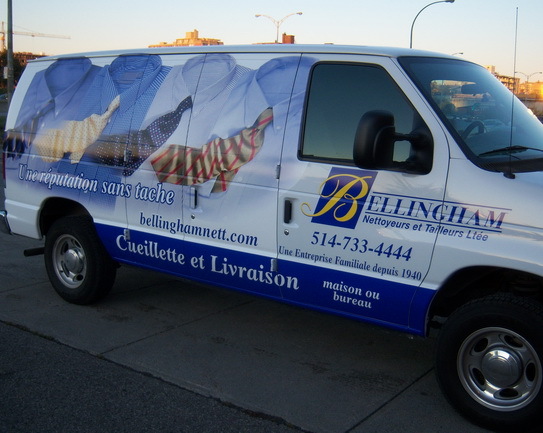 - Too difficult to remove and rehang your drapes and window coverings? 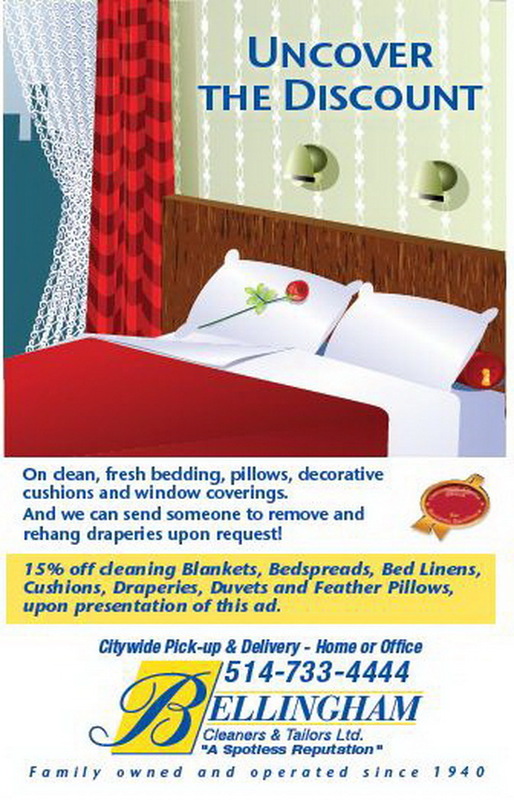 They'll send someone to do it for you so you can send them in for a cleaning along with the bedding and decorative cushions. 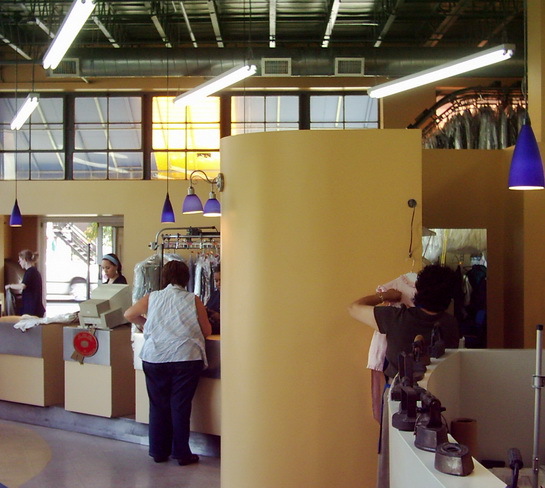 - For garment repairs (even suede and leather), every day there are seamstresses and a changing room, so quick fixes can be sewn while you wait. - Their Bates Rd. 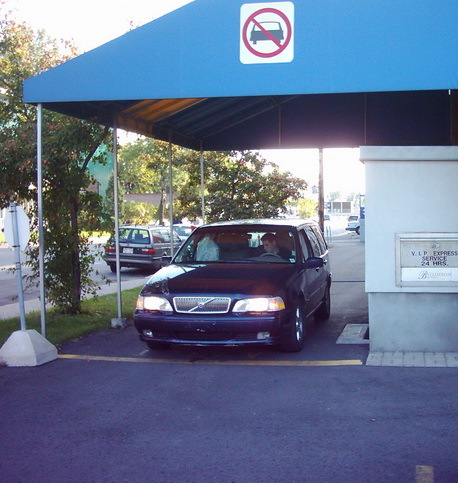 location has Quebec's first drive-thru service and a 24-hour night deposit box using VIP bags. 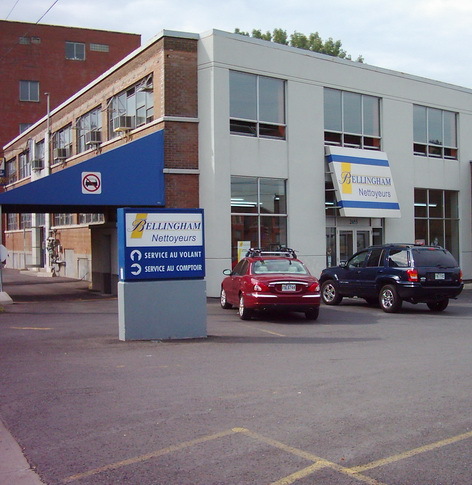 - Home or office pick-up service is available over most of the island. 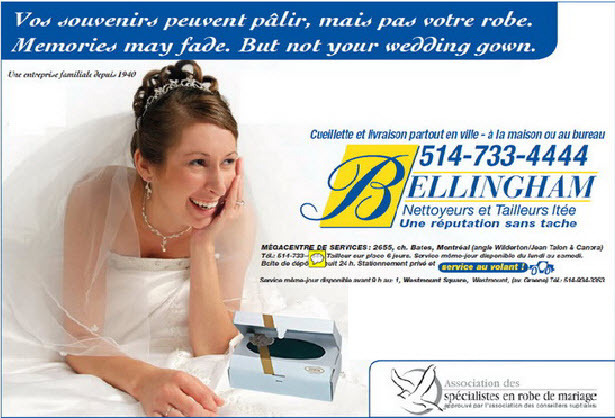 - Bellingham Cleaners are the only cleaners in the province of Quebec who are certified by the worldwide Association of Wedding Gown Specialists.